I am 44 years old. I suffered from cancer of the breast – infiltrating ductal carcinoma in August 1993. Total right mastectomy was performed, secondary to the bones was detected at the same time. Twelve chemo-injections were given over a period of six months. At the same time, radiotherapy was given to the spine and ribs. Two doses of strontium were given after the course of chemotherapy. Tamoxifen and orimetene were taken orally daily all these years. Everything was in stable condition until August 2001, when secondary to both lobes of liver was discovered. Chemotherapy – FAC, six injections were given followed by eight doses of taxotere. Now both my lower limbs are swollen. I suffer from pleural effusion at the same time. I started on oral chemotherapy – Xeloda on 10 July 2002. My limbs feel numb. I feel tired easily and my heart sometimes beat irregularly. I feel short of breath at times. I hope Dr. Teo will help me. Point to Ponder: All the weapons of war against breast cancer had been used. There are many lessons to learn from her case. a) Is she winning the war? Is she getting any better or is she getting worse? b) Can medical treatment cure cancer? c) Tamoxifen is a proven, liver-cancer-causing drug. She has been taking it for years. What do you think about that? At the end, what did it do? 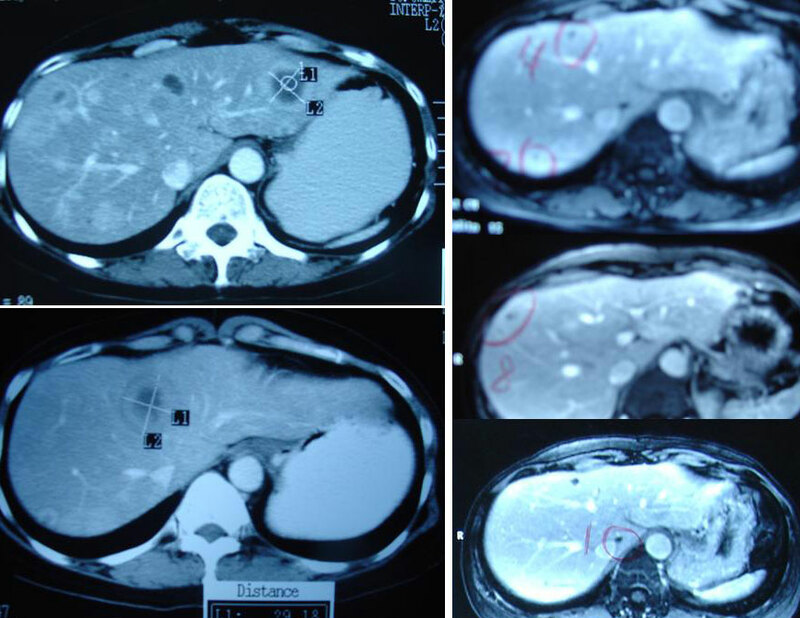 Why the liver cancer? d) She suffered pleural effusion, i.e, water filling up the lungs. Why is it so? She was prescribed herbs. And she responded well. Fax on 22 August 2002: The doctor has stopped giving me Xeloda till my blood test results improve. I have been taking your medicine for 3 weeks. My lower limbs and right upper arm are still swollen. Occasionally I have pain which is similar to electric shock which lasts for a few seconds. This happens only in my swollen limbs. The numbness in my extremities still exists. My heart beats vigorously sometimes but my breathlessness has improved. My general condition is alright and I could go to work as usual. I would like to thank Dr. Teo for taking care of me and hope you could continue helping me. Fax on 27 September 2002: The doctor gave me Xeloda again for 2 weeks. I dare not refuse because he will close my file and I have no one to turn to when problems arise. Dr. Teo is too far away for me to consult if emergency arise. My lower limbs are back to normal, only swell slightly in the evening but will be alright after a night rest. My right upper limb is still swollen. The axillary lymph nodes were removed in 1993. Is that the cause of the swelling? Physically I am alright. Fax 2 August 2003: I have stopped taking Xeloda since September. Now I only take your herbal teas and Yunzhi tablets. I am doing alright at the moment, just feeling “pin and needle” in my fingers and feet. I told my doctor here that I am taking your herbs. I would like to thank you again for helping and treating me and keeping me in good general condition. My sincere thanks again. Fax 3 June 2005: Please advise me as to whether I need to take Bone herbs. This was not prescribed in May 2005. Recently I was suffering from left sciatica and cramps. 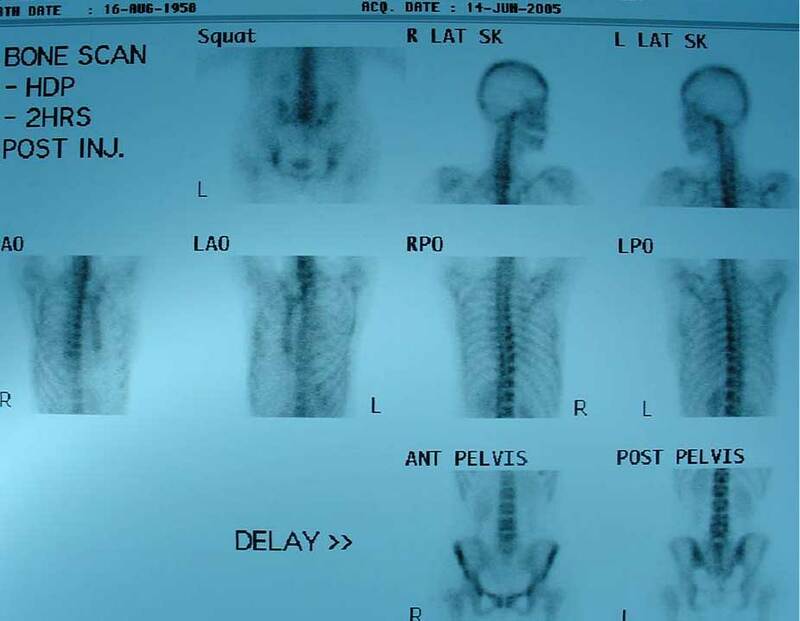 X-ray of the pelvis showed secondary deposits in the right acetabulum but I didn’t suffer from any pain on my right pelvis at all … I went for a detoxification course in Taiwan during March 2005. I suffered from left sciatica during the course. Physiotherapy didn’t help at all. Dr.Chris, I feel that my heart beats very fast intermittently but ECG was normal. Besides all those mentioned, I am doing fine. Thanks for your kind attention and help. Fax 30 November 2005: I am physically alright except for my left sciatica. I went to consult a Chinese physician regarding my sciatica. He prescribed Chinese herbs for me to take but I dare not take it … Dr. Chris, what can I do to improve it? …. Other than that I am doing very well. Thank you for helping me all these years. I really appreciate your kindness and helpfulness. I would like to wish you and your family a Merry Christmas and a Happy New Year. E-mail 26 March 2006: Dear Dr. Chris. I had my blood test done on 15 March 2006. Most of the results turned out within normal range … except CA 15.3 = 5.4. I am quite worried about the rise of CA 15.3. What does the above result indicate? In mid-2008, after communicating with the patient for 6 years, we flew to Hong Kong and met up with her for the first time. Listen to what she has got to say. In 1993, when I was first diagnosed with cancer, the doctor said: If there is a 1% chance of recovery, I will tell you. Oh, I am so surprised that you can walk in after so many years. Positive words can comfort and heal, but negative words can destroy and kill. Our advice to everyone is, If you have nothing good to say to the sick, you do more good to keep your mouth shut. It helps the sick and at the same time your words may bounce back and make you appear like a fool some day.